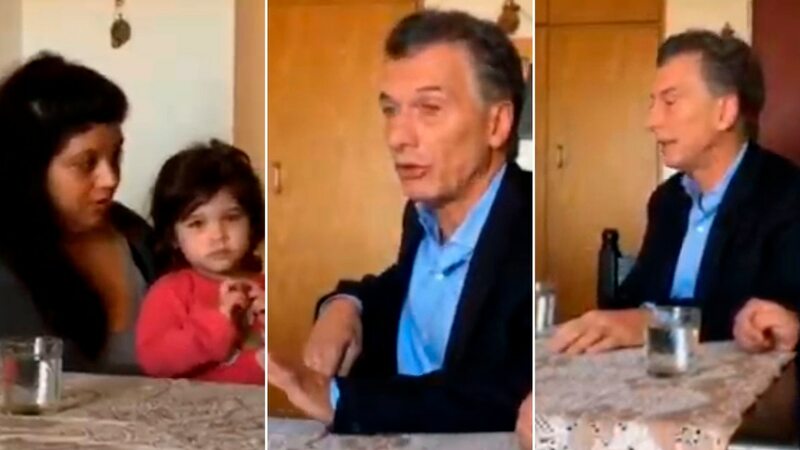 Home / argentina / Mauricio Macri: "We have taken these steps to provide relief to the people, and we are fighting for inflation to win"
Mauricio Macri: "We have taken these steps to provide relief to the people, and we are fighting for inflation to win"
"What you have to do is the most important inflation, the biggest blow to us is inflation, no doubt." We will win, because we have done everything, Chile, Paraguay, Uruguay, Colombia , Peru, etc. The countries around us did what we were doing and defeated them over time We did the same thing but why not? We did not pass any magic passes or shortcuts, We have done what we have to do to win it, but in the short term, we will talk to the Algerians from here on what we have done to remedy the short-term supply of new tools during the fund's work " said. "We all need relief, and there are a lot of things we hope to do next month until basic action begins." "It is a summary of the work, I will tell you something, no more, then I will go to Olivolz, and there is a Cabinet meeting, and I have a press conference with ministers and all the steps in depth". "These are measures we feel relieved about.The fundamental problem is to decisively (inflation) defeat it.I get more than convinced that we will win the battle.We will defeat it and give it to us. We need to fight every day to do it, but we will be serious and honest, working together with the truth and we will solve it. " "We've got sixteen major food companies by adding 60 basic items to the basic basket for six months, and we will not raise the price," said Rice, Noodle, Oil, Flour and everything. "We will pursue legislation to defend commercial allegiance, more protection impetus for competition, and all the living people that consumers abuse." "We are going to make a new Procrear, launch a new Procrear to see if they can come in. Until we get into this storm, the mortgage problem is okay, but it will come back a little bit, and the mortgage loan will work again, "He said.